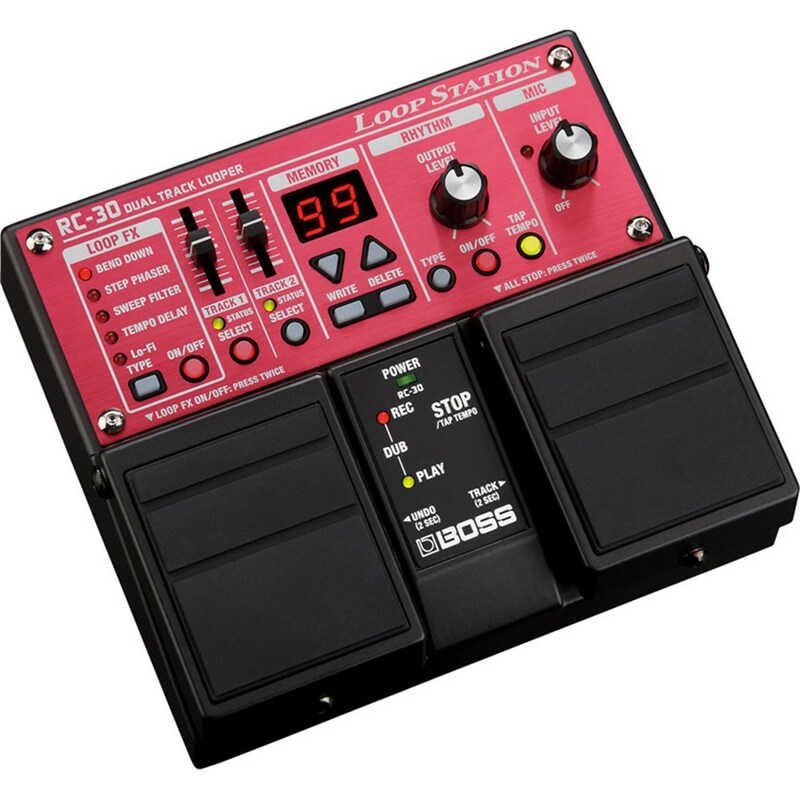 The Boss RC-30 Loop Station features two synchronised stereo tracks so you can meld different effects together seamlessly. This twin pedal looper comes with built-in loop effects for easy experimentation with your sounds. The loop station''s XLR includes phantom power, which allows you to plug in any instrument without connecting it to a separate power source. 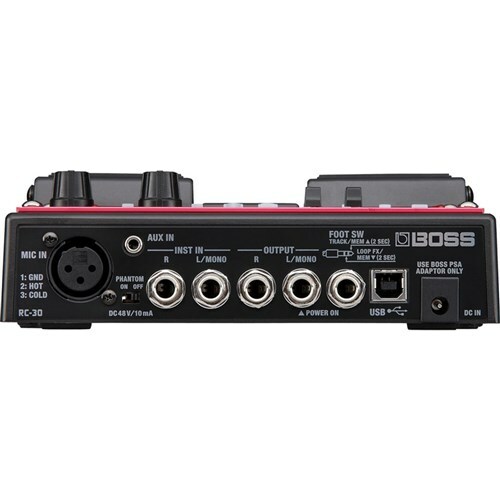 You can even plug in your microphone and add vocals over a backing track. The station also has inputs for quarter-inch A and B jacks and stereo mini jacks. 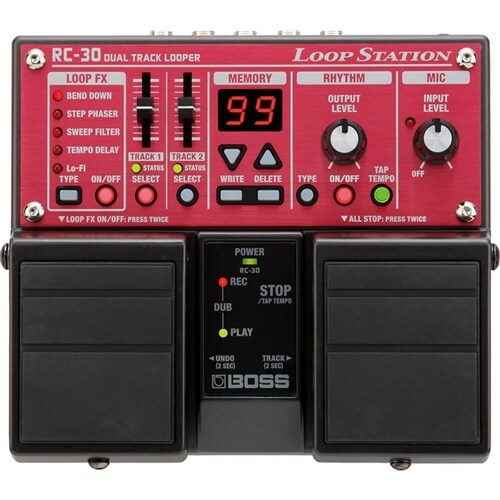 With an internal memory capable of storing three hours of recordings, this loop station offers a convenient way to record your jam sessions for later use. Connect this station to your personal computer using the USB port, and then transfer your recordings as WAV audio files. 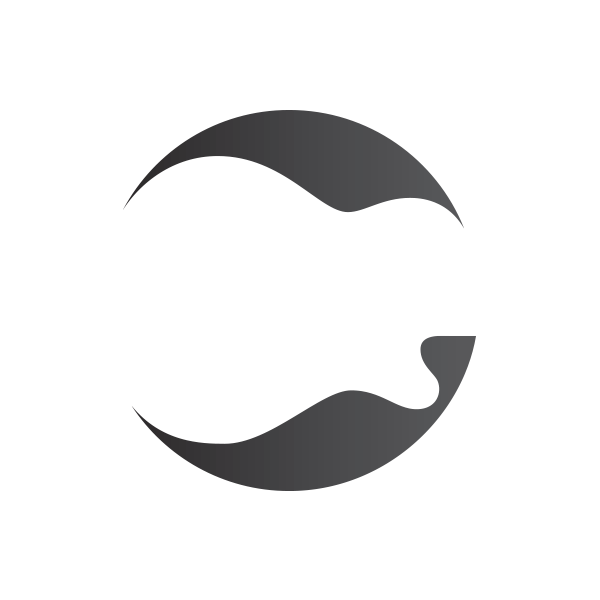 Import files from your computer through this connection, and sore them on the station''s 99 on-board memory phrases for easy access during recording sessions. This loop station works on batteries, which makes it portable and effortless to use in any setting. It is also compatible with AC power.